I’m still not feeling great. So this won’t be a long post, I thought I’d look at the prompt from National Health Bloggers Posting Month, and try to go from there. 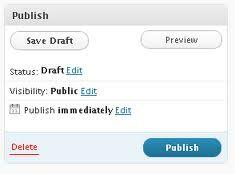 Today’s Prompt: What happens after you press “publish”. Write about your post-blog-writing process. Do you immediately tweet a link? Email it to everyone? Re-read it for spelling errors? This is pretty easy for me. I try to read over my post and look at a preview of it before I hit “publish” so I don’t need to review it for errors. Sometimes, I don’t. Sometimes, I’ve spilled so much of me that I can’t bear to read it again at that moment. I need to just get it out, let me and my readers digest it together. If you are a regular reader of mine, you know I’m not the best at catching grammatical errors any way…no matter how many times I read it over. So, sometimes, I just hit publish and let it ride. Do I immediately tweet it? I used to, but I realized I never look at Twitter, so I felt kind of silly doing it. I used to post it on Facebook. Finally, I decided, that everyone I know knows I have a blog, if they want to read it, they can, if they don’t, that’s OK too. There have been days when I wished that my family and friends didn’t know about my blog. They don’t have a chronic illness, and I don’t want them to only think of me as someone with this or that disease. Usually, after I publish my post, I try to go through my reader and look at what my friends have posted. 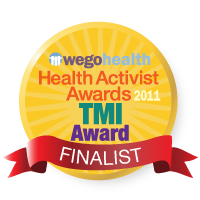 This post was written as part of NHBPM – 30 health posts in 30 days: http://bit.ly/vU0g93, and NaBloPoMo. I was wrong…A Meniere’s Attack.